Double cleansing made easy. A one-step, no water required cleanser and light makeup remover that quickly and easily removes impurities and light makeup. This multi-tasking formula with micellar technology cleanses and hydrates, while also removing light face, lip and eye makeup. A residue-free gel to water formula gently cleanses and leaves skin comfortable, refreshed and hydrated. 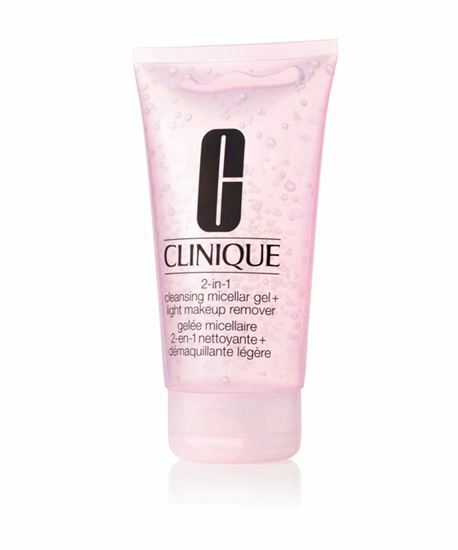 Easily wipe away product with a cotton pad for tug-free makeup removal and cleansing. How To Use Innovative micellar gel gently removes makeup and cleanses the skin of impurities in one quick step. Leaves skin fresh, smooth, residue-free. No rinsing required. For face and lips, apply a quarter-sized amount with fingertips. Tissue off. For eyes, use cotton pad. Non-acnegenic. Appropriate for sensitive skins.